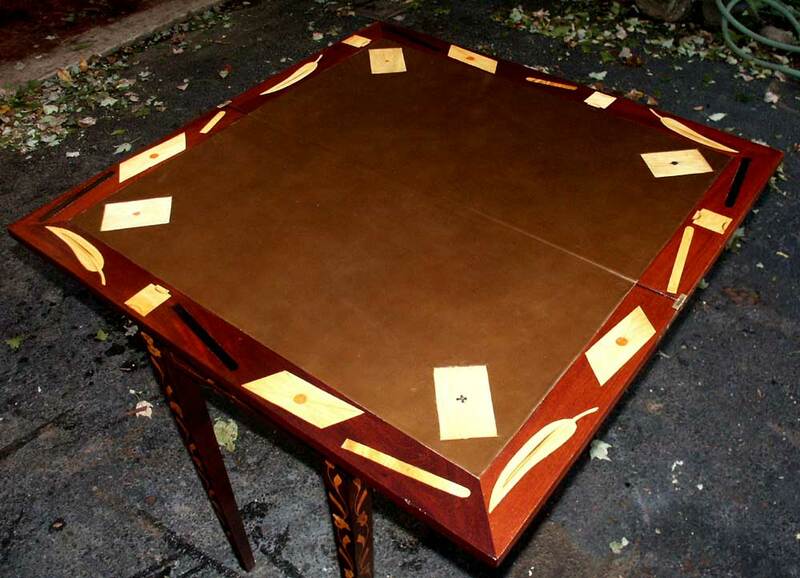 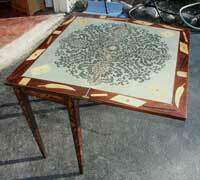 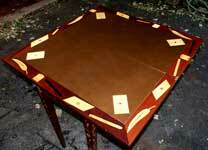 This is a unique piece, a folding marquetry bridge table. 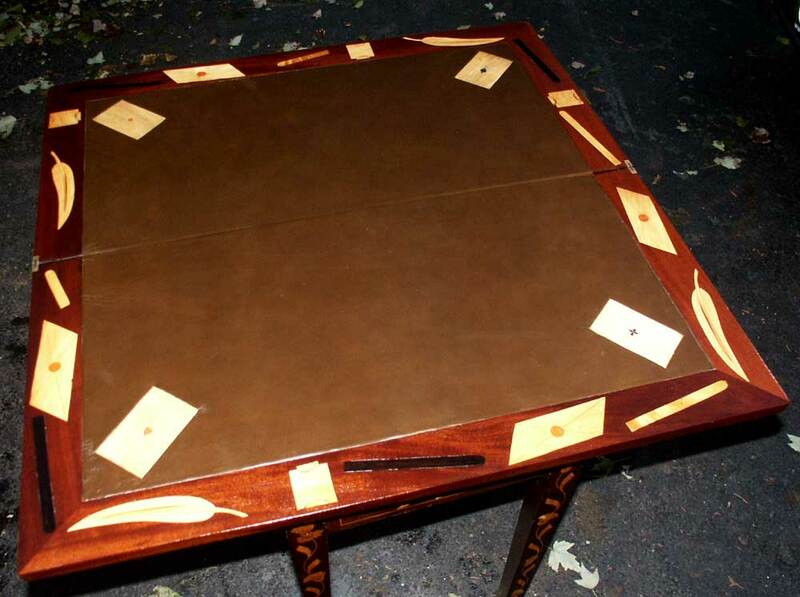 Watch the transition of this piece to include a new leather top, replacing the missing veneer, and restructuring the loose and weakened framework. 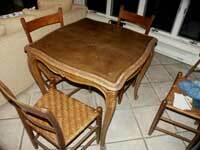 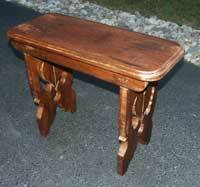 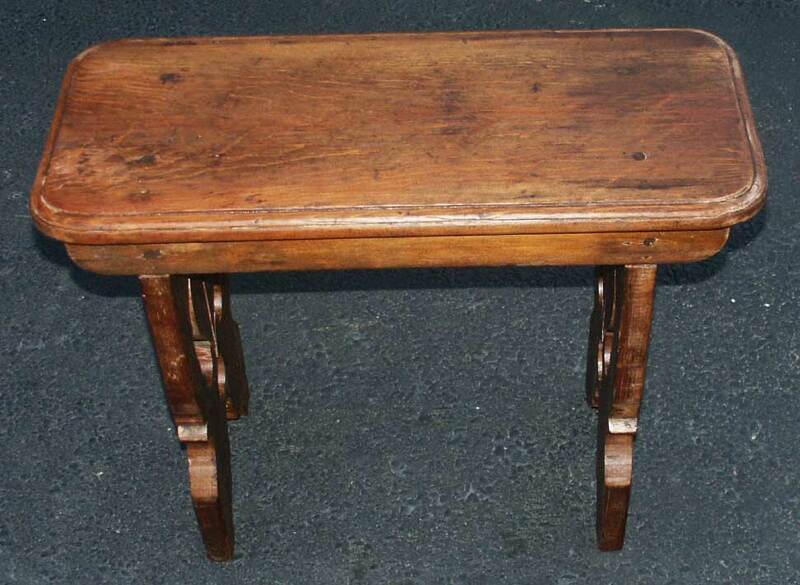 After a much needed restoration - this bridge table is stable and ready to trump another generation. 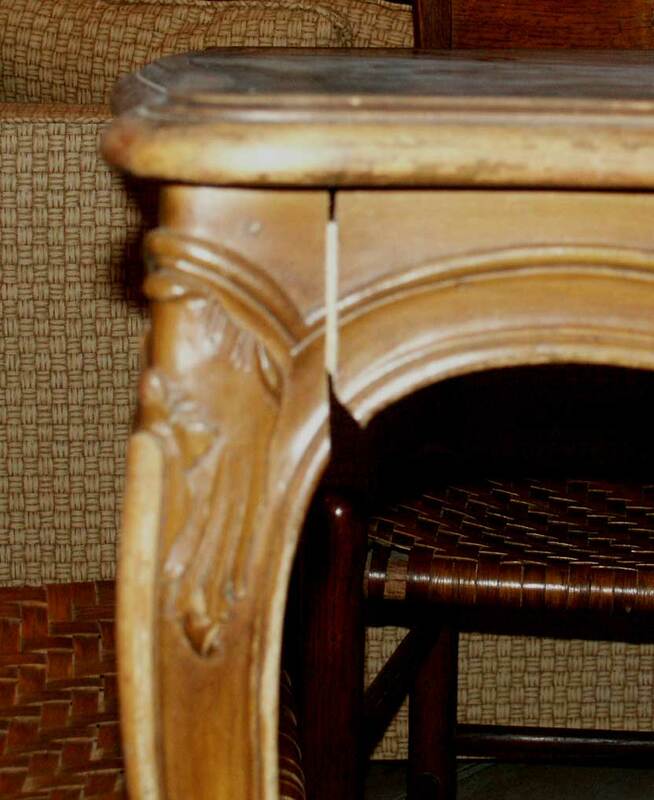 Typical of pieces from this period, the glue has begun to deteriorate and the joints separated. 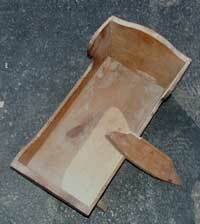 Breaking down the piece, cleaning out the old glue and rebuilding the structure of the piece. 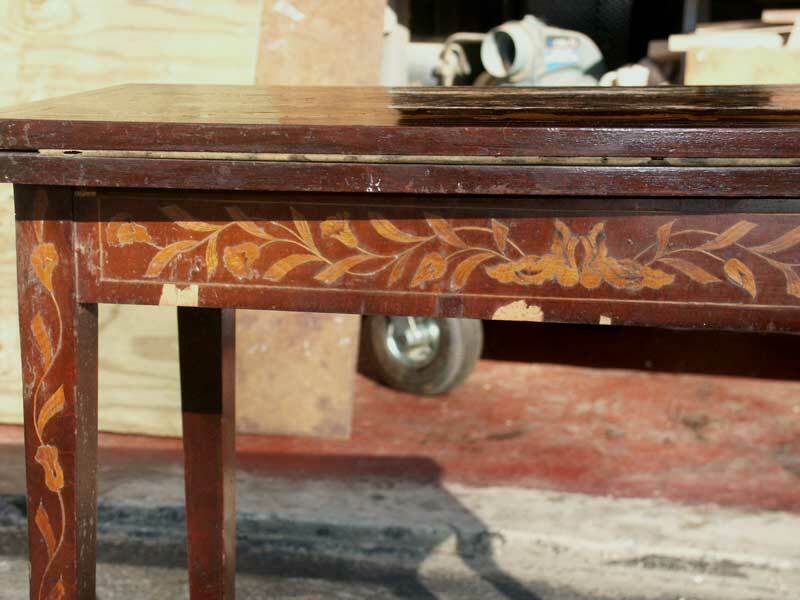 Refinishing and a new Italian leather top. 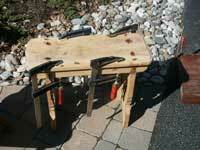 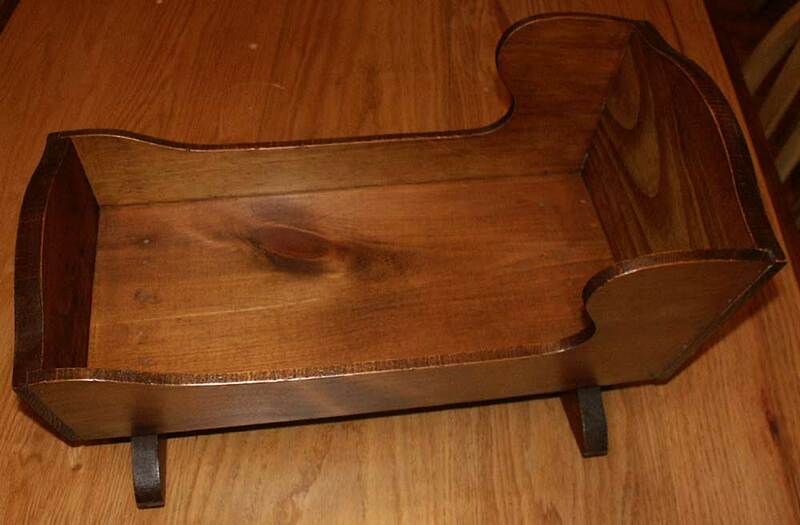 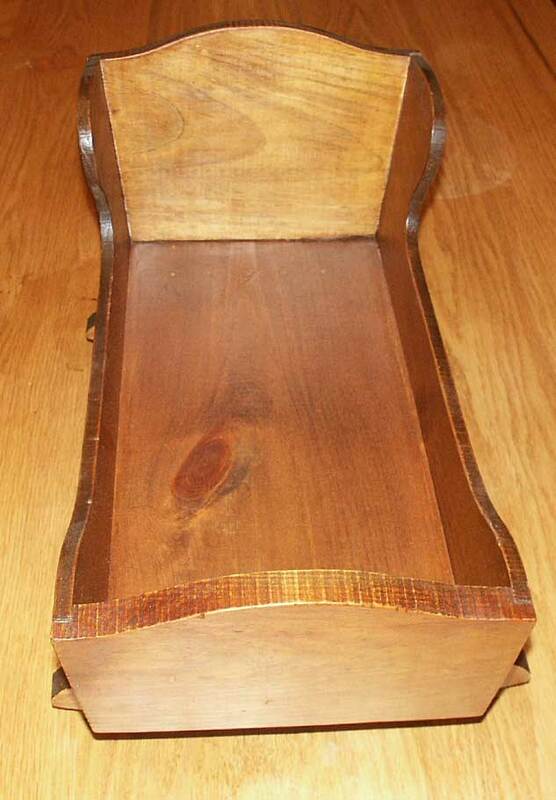 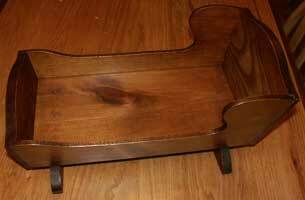 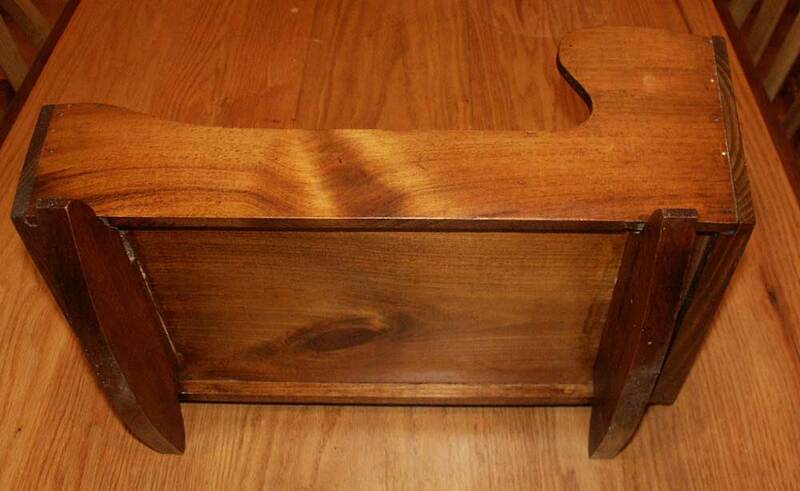 This is a simplistic pine doll cradle - hand made within a family. 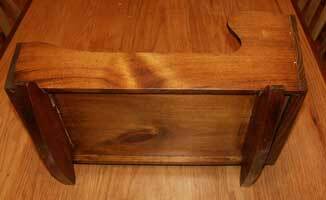 Restored back to esthetic and functional form. 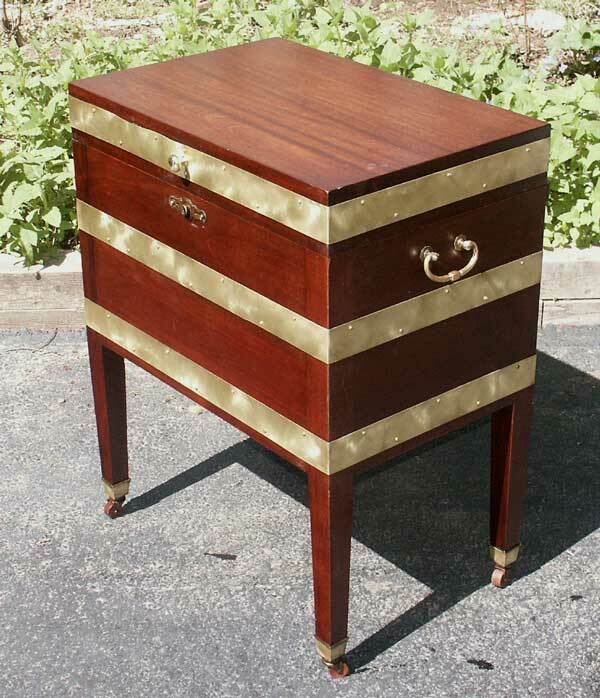 This chest is based on the concept of a salt chest. 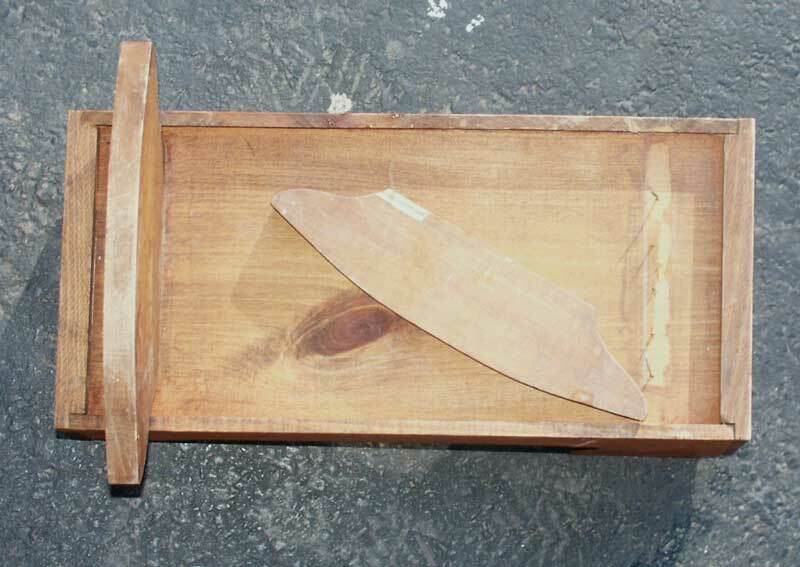 They were basically no more than a solid wooden box with hidden hinges and a reasonably secure lock. They were most often used in the kitchen to hold salt, sugar, spices, coffee, and other valuable commodities to prevent the servants from pinching a taste. 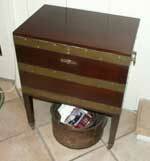 The task at hand was first to open the locked chest, of course without a key. 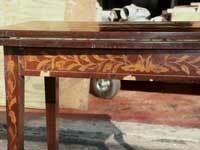 Then refinish the piece and restore the brass straps. 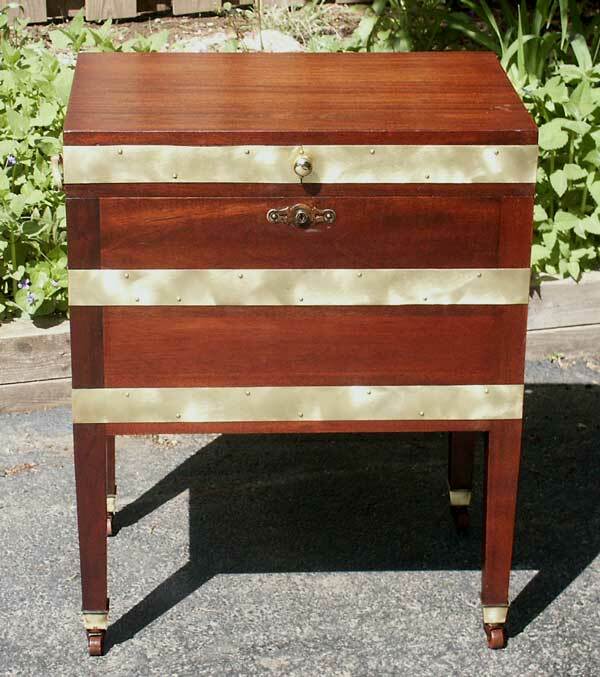 Chest restoration now complete, the brass has been polished, the finish restored, and the siezed wheels are working again. 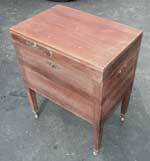 This old stool looks remarkably like someone's school shop project. 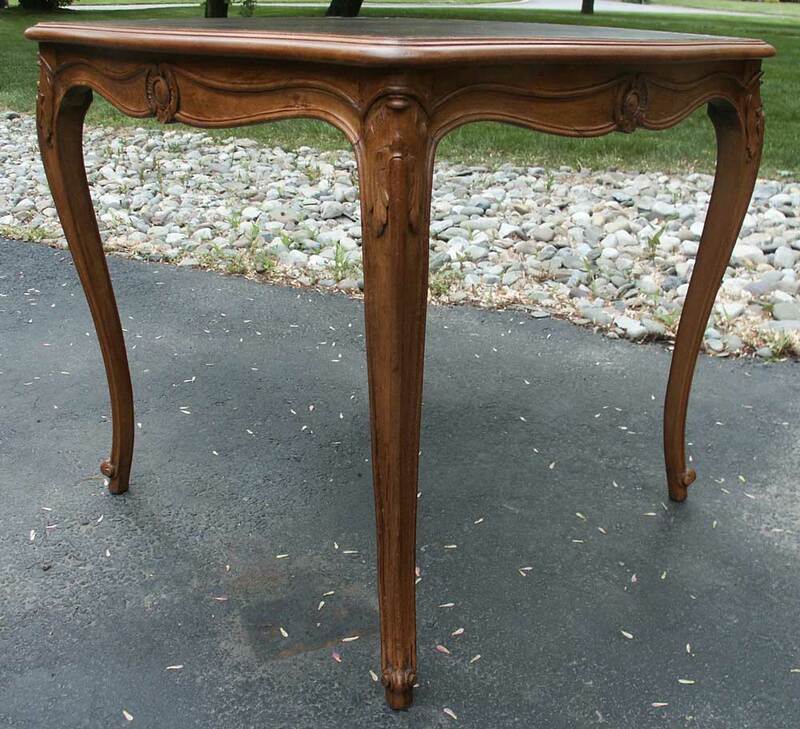 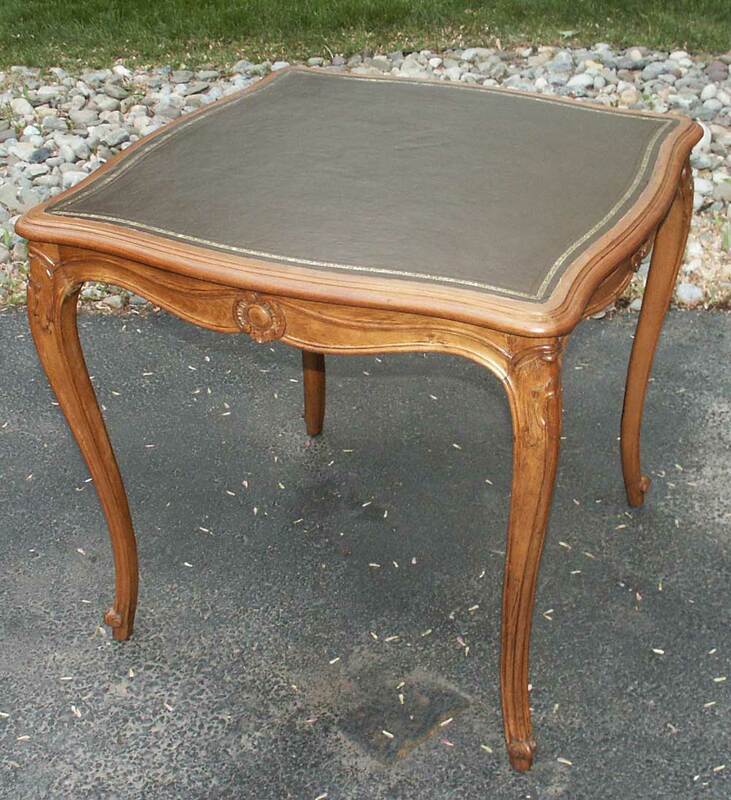 Part of an estate restoration, it's in the mix and we figured it will make a great example of a very simple piece to make an eclectic accent as a plant stand, foot rest, child's bench, or why not just as a stool? 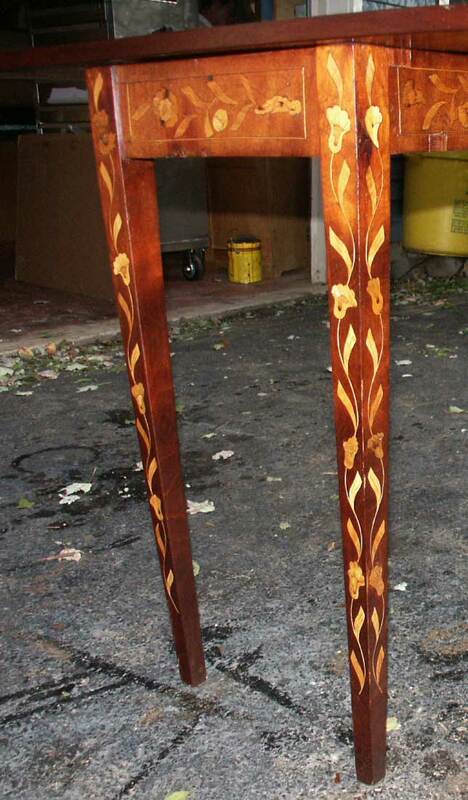 Left is restoration in progress, photos to the right are after the restoration was complete.